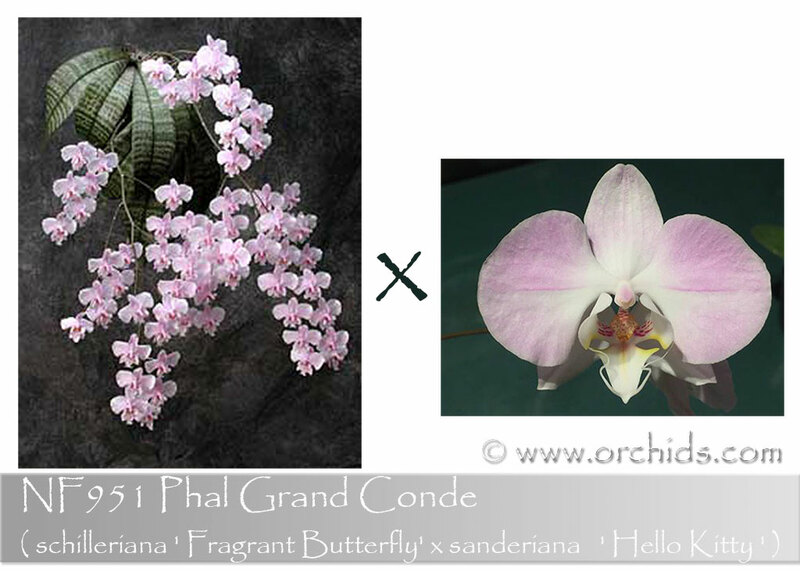 Mating two charming & beloved pink Phalaenopsis species, we’re expecting soft pastel pinks with good form and fragrance ! Garnering the best of both its species parents, this hybrid bears beautifully marked mottled leaves with its inflorescence showing a ready branching habit. Highly Recommended for its fragrance and charm !